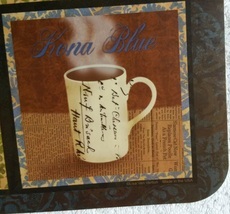 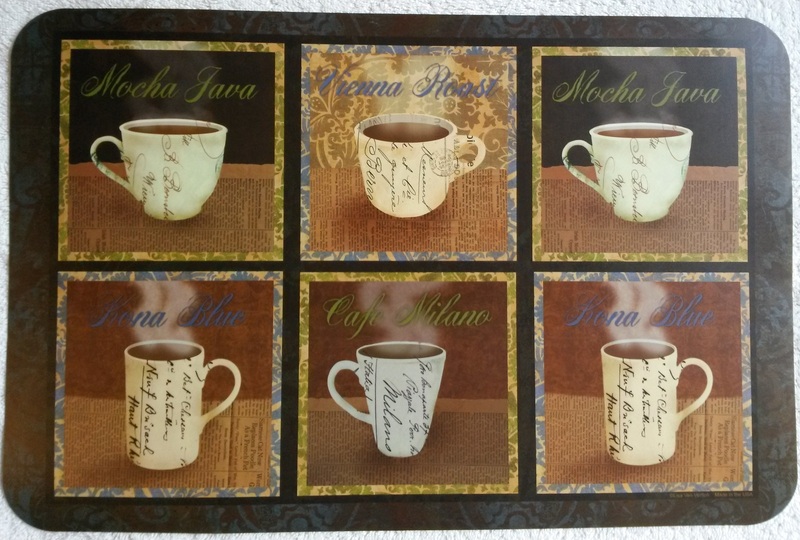 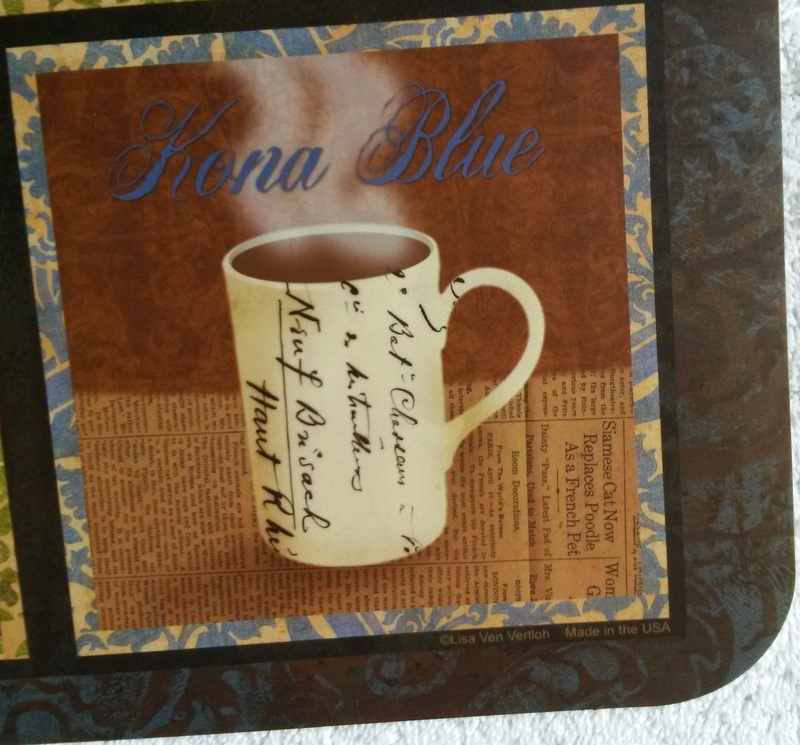 This is a Set of 4 COFFEE DESIGN PLASTIC PLACEMATS Design shows 6 cups of steaming coffee in 4 different types: Mocha Java, Vienna Roast, Kona Blue, Cafe Milano, against a patchwork background of newsprint, fleurs-de-lis design. 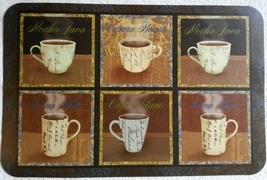 Very pretty for a coffee lover! 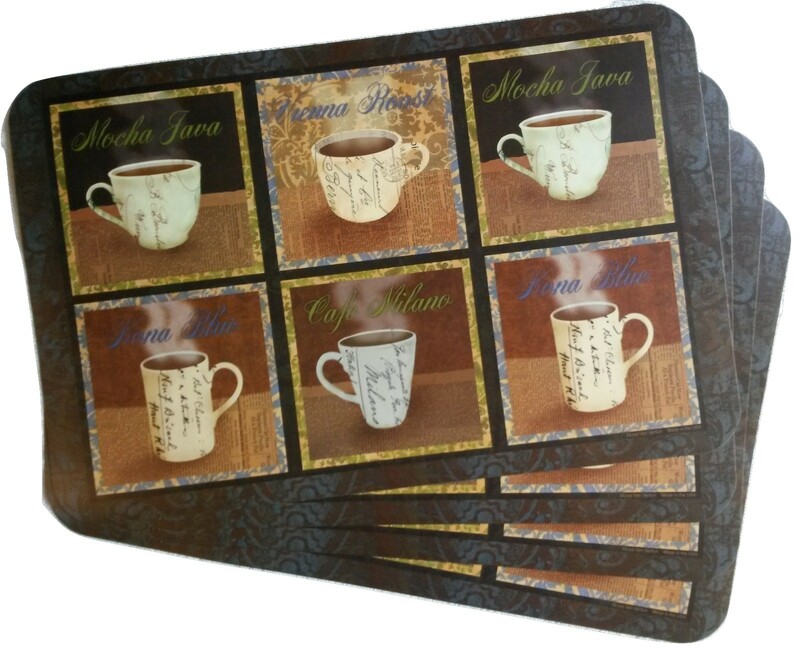 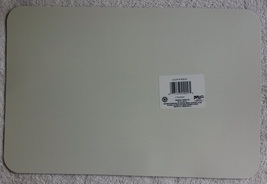 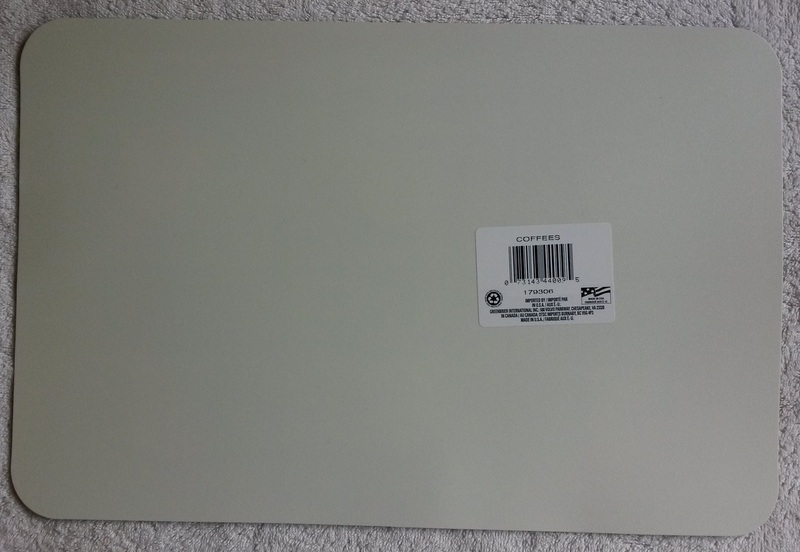 Material: made of a stiff plastic, easy to wipe clean, hygienic Brand new with original tags I also have matching stoneware coasters in the same design - check my booth or send me a message if you are interested.